The annual meeting is coming up on May 2, 2018. I voted with the Board’s recommendations 93% of the time. View Proxy Statement via SEC’s EDGAR system (look for DEF 14A). From the Yahoo Finance profile: Discover Financial Services’s ISS Governance QualityScore as of April 1, 2018 is 6. The pillar scores are Audit: 1; Board: 6; Shareholder Rights: 7; Compensation: 8. Corporate governance scores courtesy of Institutional Shareholder Services (ISS). Scores indicate decile rank relative to index or region. A decile score of 1 indicates lower governance risk, while a 10 indicates higher governance risk. Therefore, we need to pay closer attention to the board, shareholder rights and executive compensation. Egan-Jones Proxy Services recommends “For,” with the exception of: 1A) Jeffrey S. Aronin, 1C) Gregory C. Case, 1I) David W. Nelms, 1K) Lawrence A. Weinbach. “Against” is recommended for Nelms because he occupies both chair and CEO positions. Additionally, the others are opposed because major committees, such as the audit committee should be composed only of independent directors. Although I am sympathetic, I voted FOR all directors. Discover Financial Services Summary Compensation Table (page 33) shows the highest paid named executive officer (NEO) was Chairman and CEO David W. Nelms at $10.2M. I’m using Yahoo! Finance to determine market cap ($26B) and I am roughly defining large-cap as $10B, mid-cap as $2-10B, and small-cap as less than $2B. Discover Financial Services is a large-cap company. According to the Equilar Top 25 Executive Compensation Survey 2015, the median CEO compensation at large-cap corporations was $10.3M in 2014, so pay was under that amount, especially considering inflation. 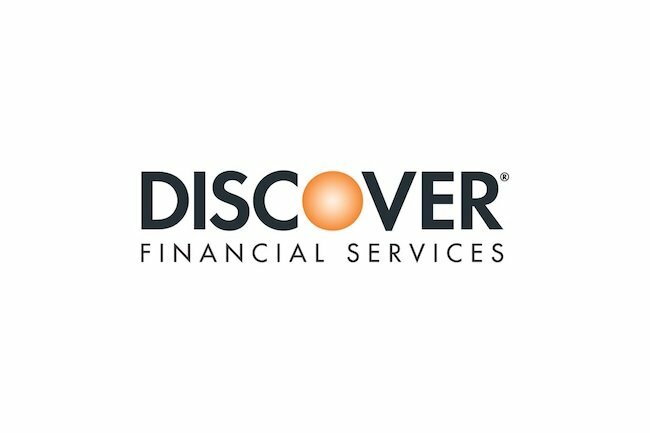 Discover Financial Services shares underperformed the S&P500 over the most recent one and five year time periods and exceeded it over the most recent two year time period. At least Discover Financial Services does not appear on As You Sow‘s list of the 100 Most Overpaid CEOs. Prior reports have shown that being on that list is correlated with lower returns in subsequent years. We believe that the Company’s compensation policies and procedures are centered on a competitive pay-for-performance culture, strongly aligned with the long-term interest of its shareholders and necessary to attract and retain experienced, highly qualified executives critical to the Company’s long-term success and the enhancement of shareholder value. Therefore, we recommend a vote FOR this Proposal. Given mixed performance, median pay, the recommendation of Egan Jones, I voted “FOR” the say-on-pay item. I have no reason to believe the auditor has rendered an inaccurate opinion, is engaged in poor accounting practices, or has a conflict of interest. However, Egan-Jones notes that Deloitte & Touche, LLP has been serving as the Company’s auditor for over seven years and their independence is compromised. I have not set a specific number of years, so in this case voted FOR. This is my proposal (James McRitchie on behalf of my wife, Myra Young), so of course I voted FOR. Proxy Insight reported the votes of four funds: Teacher Retirement System of Texas, Canada Pension Plan Investment Board (CPPIB), Calvert Research and Management, Inc, Christian Brothers Investment Services (CBIS), and Local Government Superannuation Scheme. They voted FOR every item, with the single exception that CBIS voted AGAINST ratifying the auditor. I voted FOR every item and recommend you do the same. Supermajority vote requirement (80%) to amend certain charter and all bylaw provisions. Proxy access provisions are Lite. A shareholder or group of no more than 20 shareholders holding at least 3% of the outstanding common stock continuously for at least three (3) years may nominate directors, so long as the number of directors elected via proxy access does not exceed 20% of the board. Nominees who receive less than 25% of the votes would be ineligible for nomination under the proxy access provision for the next two (2) annual meetings. Voting FOR proposal #4 could lead the Board to move on these issues. Shareholders intending to present a proposal at the 2019 Annual Meeting and have it included in our proxy statement for that meeting must submit the proposal in writing to Kathryn McNamara Corley, Secretary, 2500 Lake Cook Road, Riverwoods, Illinois 60015. We must receive the proposal no later than November 16, 2018.